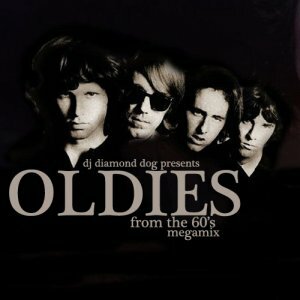 In an effort to bring some extreme oldies into the new millenium, I've put together an Oldies Megamix featuring some of the all time 60's greats such as the Doors, the Beatles, the Who, Sly & the Family Stone and many more!! This megamix runs 5 minutes, but in that short time you'll hear classics such as Louie Louie, Break On Through, California Dreaming, My Generation and many more!! Thanks for your support of me & my mixes. There will be new music coming soon!! Please be sure to share, like & tweet my site at http://djdiamonddog.com.